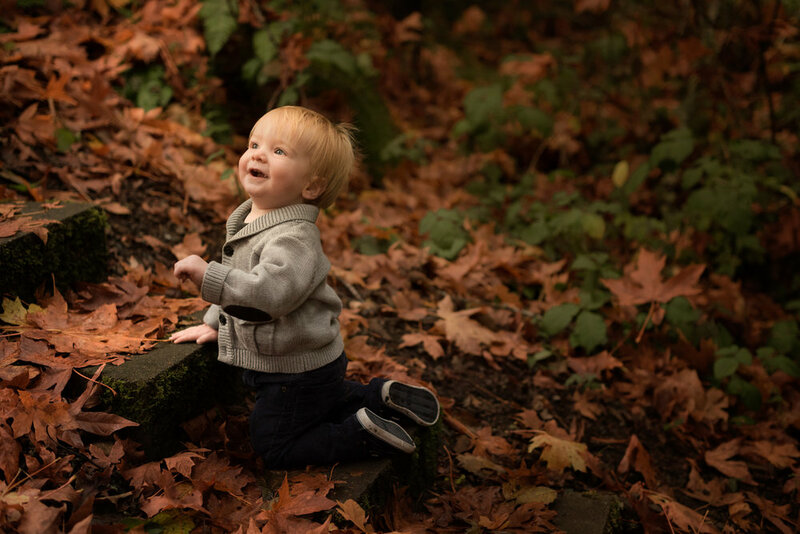 I had such a delightful time spending an afternoon with this little man who recently turned one. We walked around the yard and found lots of beautiful red fall leaves to play with, dirt to chew on, and stairs to climb. He even stood all by himself for a whole 10 seconds, which had never happened before. Happy Birthday Mr. H!! !